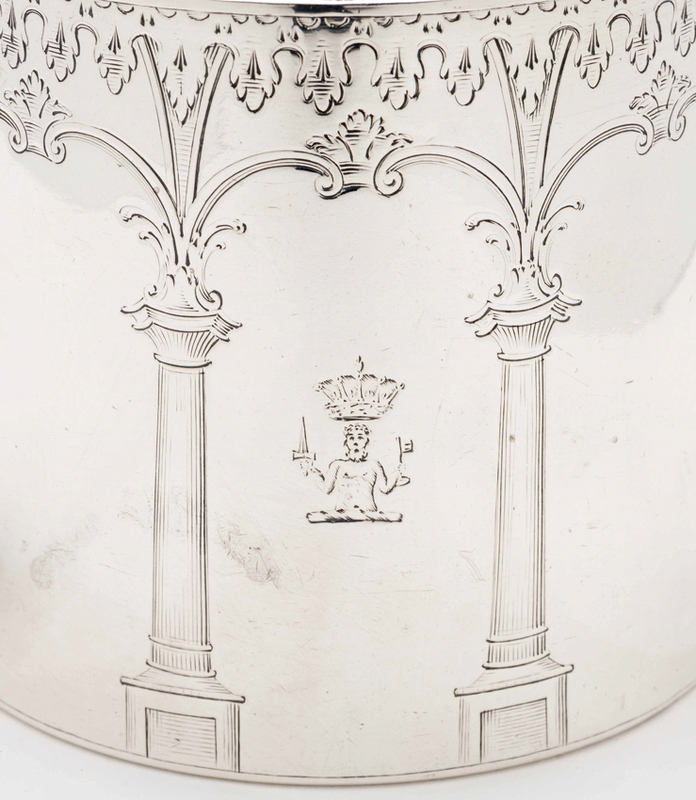 A silver teapot that belonged to the last colonial governor of Virginia has been donated by a British descendant to the Colonial Williamsburg collection. The silver teapot (1771-1772) marked by Andrew Fogelberg, London. 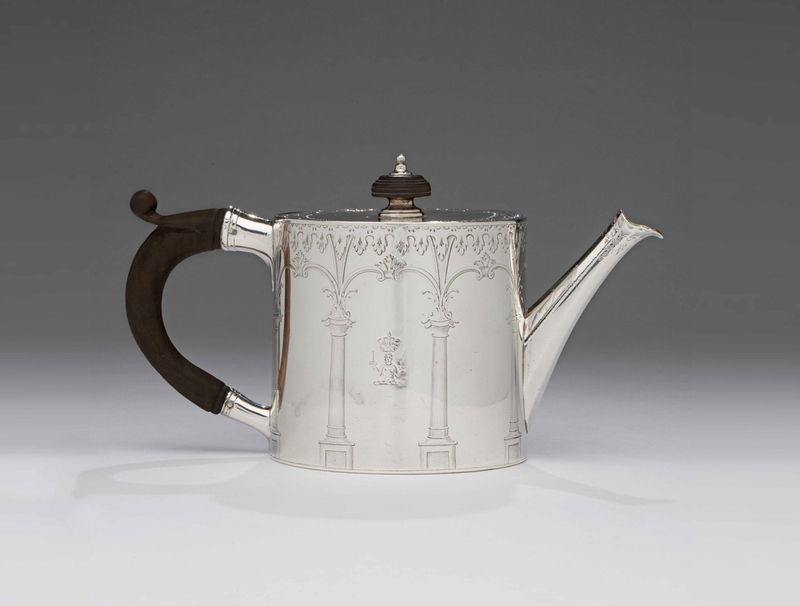 The diminutive neoclassical teapot, made in London in 1771 by the Swedish-born silversmith Andrew Fogelberg, carries the family crest of the Scottish nobleman John Murray (c. 1730-1809), Lord Dunmore. The Scottish peer, initially sent to the colonies as governor of New York, was transferred for what proved a strife-filled tenure in Williamsburg from 1771-76. All semblance of peaceful governance in Virginia ended when the notoriously unpopular Dunmore seized the colony’s store of gunpowder in April 1775. Two months later his wife and children fled the Governor’s Palace and returned to Britain with the family valuables while Dunmore took refuge on an English warship anchored in the Chesapeake Bay. A detail of the silver teapot. The teapot has a loose, rather than hinged, lid, a feature found on Scandinavian silver that is indicative of Fogelberg’s Swedish background. Relatively few objects from Fogelberg’s shop survive, and he is best remembered today as the master who trained Paul Storr. The Dunmore teapot will be included in an exhibition focused on objects made or used in Williamsburg scheduled to open at Colonial Williamsburg in 2019.